Arctic Circle magazine caught up with Canada Goose person, Payge McMahon, to get the low-down on her experience on National Geographic's new adventure/survival series, The Raft. Read the original article here. If Titanic is your favourite film and Castaway inspired you to take to the open water, then make sure you check out The Raft. 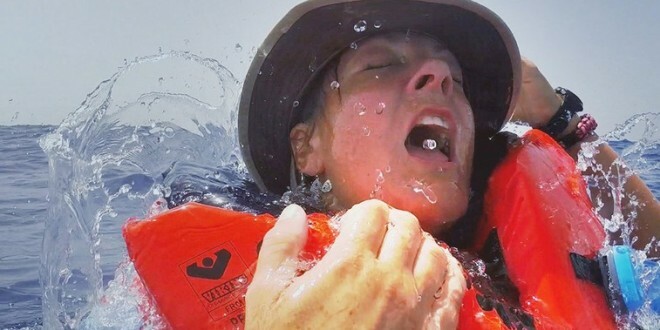 Now in its first season, this adventure survival show by National Geographic puts two strangers on a life raft in the middle of the ocean with no supplies—and they have to survive for six days. Starring in the premiere episode is Goose Person and adventurer Payge McMahon. Back on dry land, we caught up with Payge to find out how she fared. WHAT MADE YOU WANT TO SPEND A WEEK STRANDED WITH A STRANGER AND AT THE MERCY OF THE ELEMENTS? When the producers contacted me, my first instinct was to say no. I’m not a boat person—I don’t even like cruises. But something made me quickly reconsider. It would be a unique opportunity to test my survival skills on the open ocean and in a semi-controlled environment (in case of a true emergency, we had a satellite phone to call for help). I also like doing things that take me outside my comfort zone. YOUR SHIPMATE—A PERFECT PAIRING, OR TOTAL MISMATCH? I was paired up with Rich Figueiredo, a fifth generation lobsterman and married father of two from Maine. He has the best sea stories, can tie any knot, catch a fish (without bait) and fillet it like a champ! We worked really well together because we had complementing skill sets. His fishing and knot tying skills to my survival training and relaxed, yoga-esque demeanor just seemed to work. DID YOU HAVE ANY EPIPHANIES AS A RESULT OF THIS EXPERIENCE? It reinforced my belief in not letting fear control what I do, and to keep a healthy respect for the risks associated with that fear. The whole time on that raft, you can bet I had the theme from Jaws running through my head. But, I didn’t let it stop me from going in the water for a quick swim to stretch my limbs or look for fish. I was scared, but did it anyway. ISOLATION, LACK OF FOOD, STUCK WITH A STRANGER FOR A WEEK…WHAT DID YOU FIND THE HARDEST PART? This is a toss-up, between the bumps in the night (sharks), constantly being wet (resulting in painful saltwater rashes) and the inability to just get up and go for a run. Surprisingly though, I didn’t get hungry. I craved lasagna, pizza and cookie dough, but more out of comfort. IS THERE ANY WAY TO REALLY PREPARE FOR AN EXPERIENCE LIKE THIS? OR DO YOU JUST HOPE FOR THE BEST? Research! I’m a calculated risk taker. I read up on open-water survival skills, weather patterns, fish and shark statistics for the area we filmed in. 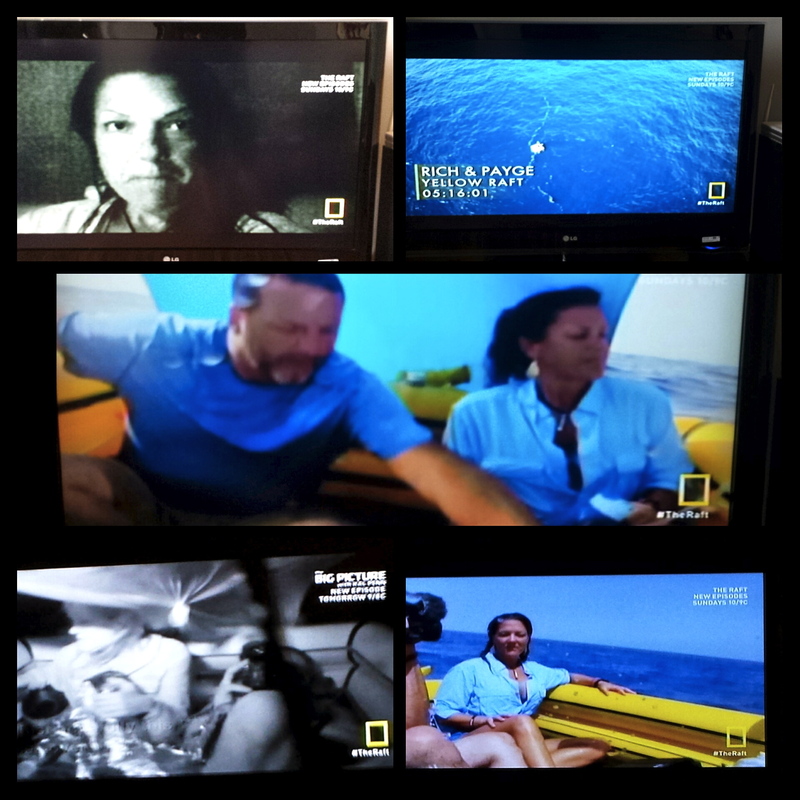 I also watched, All is Lost with Robert Redford, a lost-at-sea survival movie, and the “Lost at Sea” episode from the first season of Survivorman. WHAT’S YOUR ADVICE TO SOMEONE WHO IS STRANDED, SAY, ON AN ISLAND?